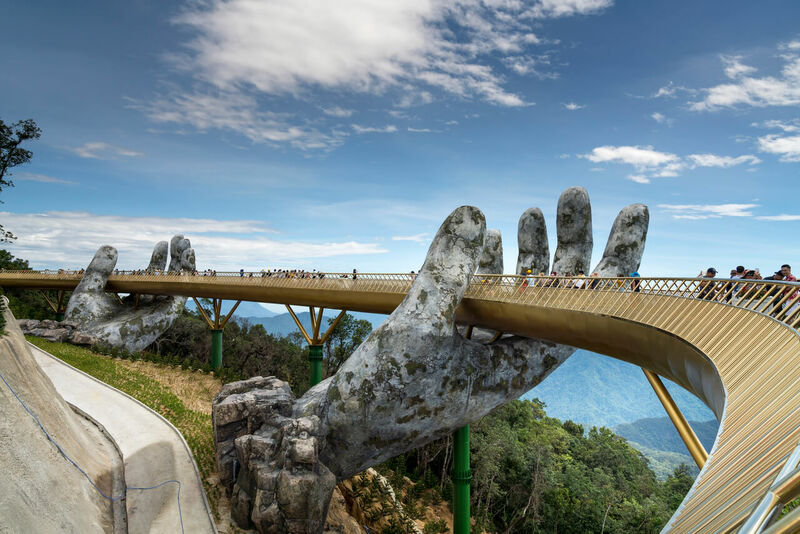 Da Nang – the third largest city in Vietnam and the largest of Central Vietnam is surrounded by four national heritages of Hue, Hoi An, My Son Sanctuary and Phong Nha – Ke Bang National Park. This top-rated bustling modern city is also home to various picturesque sights including breath-taking passes, beautiful half-island, steep mountains nestling above endless dazzling shorelines. 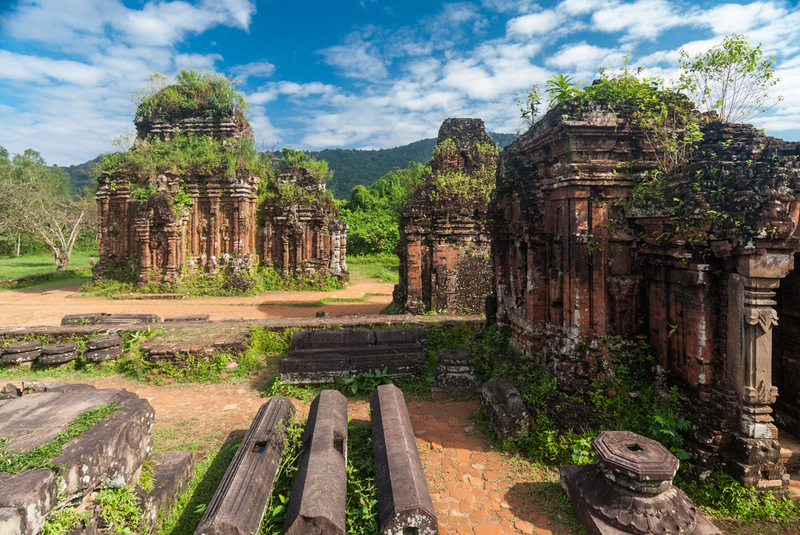 Read on to explore the most visited sights of Da Nang. 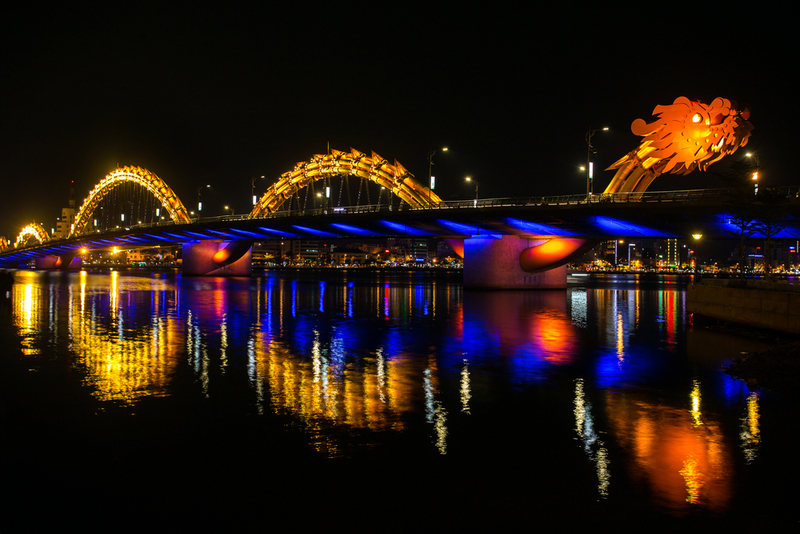 The massive Han River Bridge and Dragon Bridge are the most noticeable structures in the middle of Da Nang city and are even more impressive at nights as they are lightened up. Han River Bridge rotates every Saturday and Sunday evening as big boats pass by the river. Meanwhile, fire or water also comes out of Dragon Bridge also during the weekend at 9 PM. 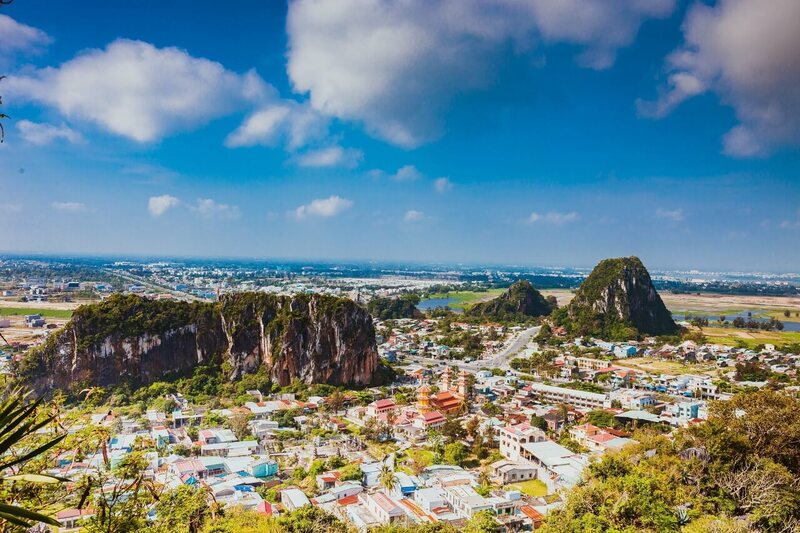 Located about 10 kilometers away from Da Nang city, Son Tra half-island is known for its pure sea water within Da Nang Bay, Monkey Mountain and Hai Van pass surrounding the city. 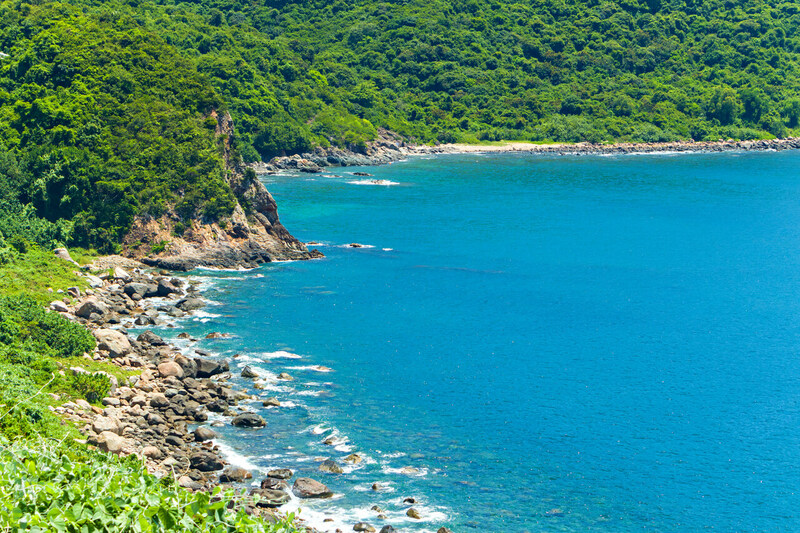 Hai Van pass can also be referred to as Cloud Pass, 20 kilometers long, lying between Da Nang and Hue. Take a cable car up the hill to enjoy the majestic and mysteriously surroundings of the site above more than a thousand meter. On top of Ba Na Hill, there are plenty of old and newly built resorts, a wine cellar, bar, tennis court, and an entertainment zone. Ngu Hanh Son or Non Nuoc mountain (also Marble Mountain) consists of 6 karsts rising from the sand just by the ocean. The mountain karsts are named according to the natural five elements: metal, wood, water, fire, and earth. My Son Sanctuary is located in a valley with majestic and imposing mountains. There are more than 70 architectural temples of the Champa civilization crystallized in the permanent material sequelae, containing values of history, culture, architecture. 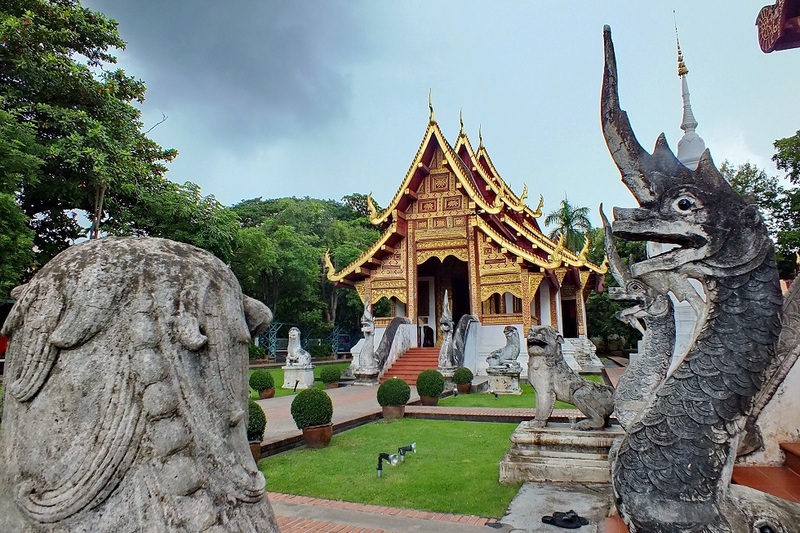 The art created in for a long time during the 9th century (from the 4th to the 13th century), is considered on par with the famous monuments in Southeast Asia such as Angkor or Pagan. My Khe, Bac My An and Pham Van Dong beaches are only a few kilometers away from Da Nang city center. All of these are filled with white sand, clear warm water and posh surrounding resorts and hotels. Da Nang international airport is located in the city center and makes it easy to get to and from Danang. 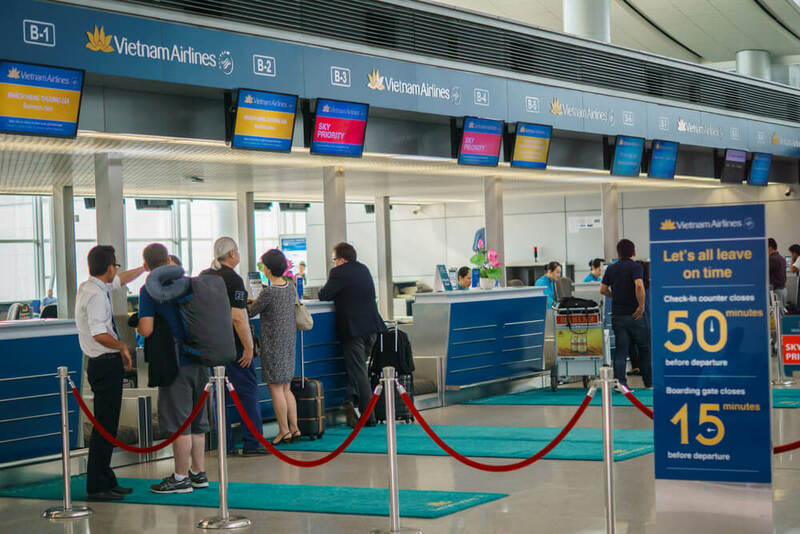 There are multiple flights per day from Hanoi or Ho Chi Minh to Da Nang with Vietnam Airlines, Jetstar and Vietjet. Taking a train ride to Danang is one of the most popular methods to visit this city. 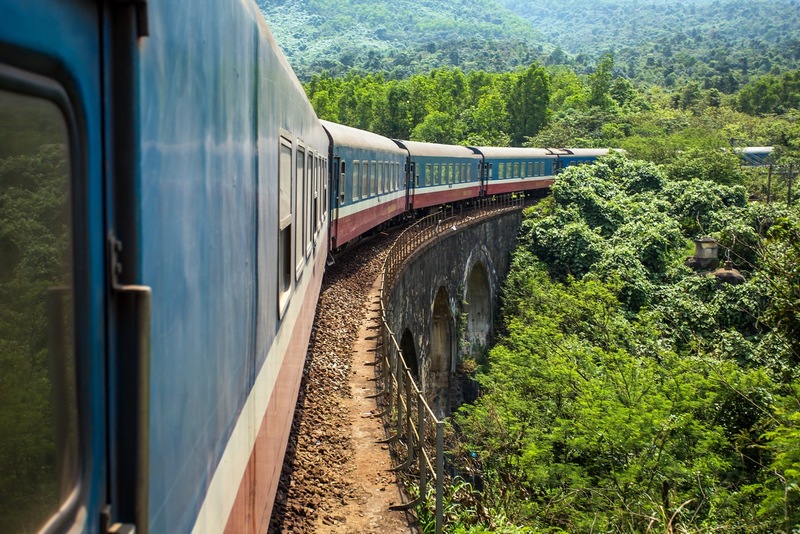 Especially, the train ride from Hue to Da Nang through Hai Van Pass is a must-try experience to enjoy the stunning landscape. 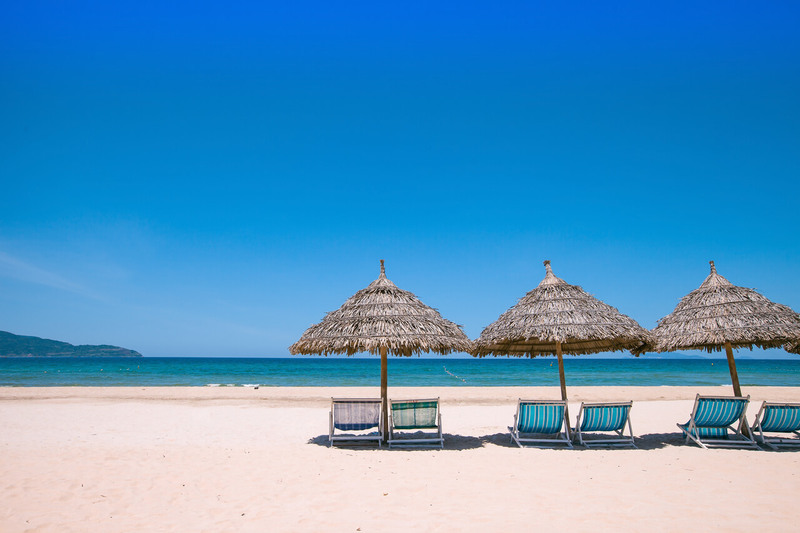 There are plenty of cheap and frequent bus connections between Da Nang and nearby towns such as Hue, Hoi An or Nha Trang. Baolau corporates with Vietnam Railways and various bus companies across Vietnam to service online ticket booking to Da Nang in advance. Once the reservation is confirmed, customers will receive an electronic voucher that can be used to check-in and collect the physical ticket at the station of any departure point.